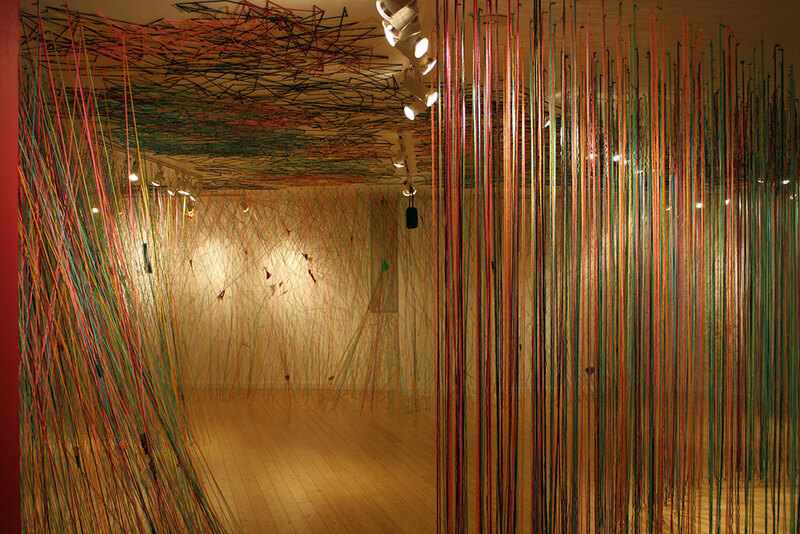 The Crossing the Line (2011) installation at CAFAM was inspired by Tanya's time in Chiapas working with Mayan women weavers as part of her Artists Helping Artisans initiative. Tanya was really inspired by working on a backstrap loom. She was struck by the idea of de-colonizing the process of weaving, as well as using your body to regulate tension in fabric. 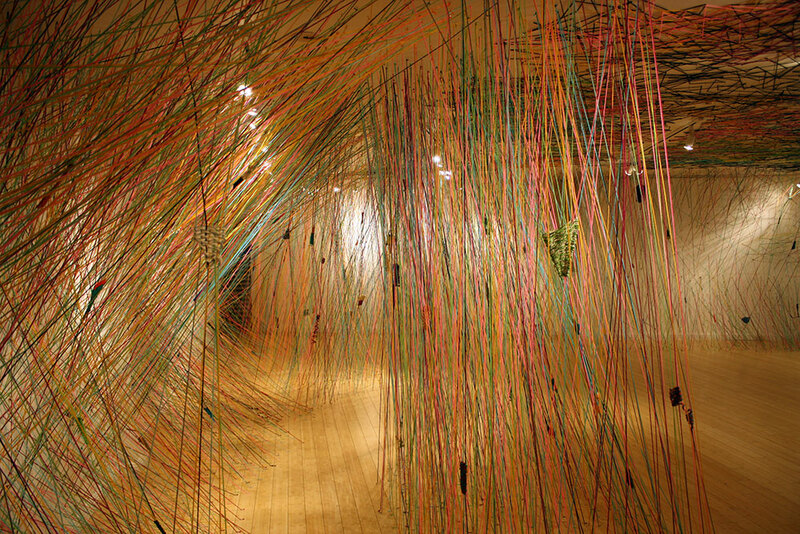 27 of us turned the gallery into a giant loom. We wove spaces at which lines intersected. The majority of the volunteers that worked on the piece had never woven before, so it became a learning and sharing experience for us all.